As mentioned earlier, the roots of modern corruption in today’s Republican party run deep, even past the Barry Goldwater presidential nomination era in 1964, when racism was fully and tacitly welcomed into the party – because by then, Communists like Whittaker Chambers (1901-1961), and James Burnham (1905-1987) Founding Editor of The National Review magazine, had already been 20 years welcomed aboard, and are still venerated to this day. We’ve identified the problem, so a solution must be made, for it would be useless to criticize without offering a solution. Then-President Ronald Reagan, in his first Inaugural Address, January 20, 1981, infamously said in part, that, “In this present crisis, government is not the solution to our problem; government is the problem.” But contrary to his nice-sounding assertion, though specious claim, government is NOT the problem, for if it were, abolishing government, in favor of an anarchy, would solve the problem. And as we’ve been shown and continue to observe, for at least since the time of his presidency, Republicans continue actively destroying almost every vestige of organized and civil government through “downsizing” or “right-sizing” (destructive language couched more comfortably, as “a kinder, and gentler” euphemism), through “starve the monster” (denying money/funding), through abolishing agencies and “outsourcing” tax dollars which are used properly used to fund public programs, and instead diverting them to private enterprise through “charter schools” – like addicts do with narcotics prescriptions – and through dissipation by allowing block grants and the like. Increasingly, that has become the m.o. 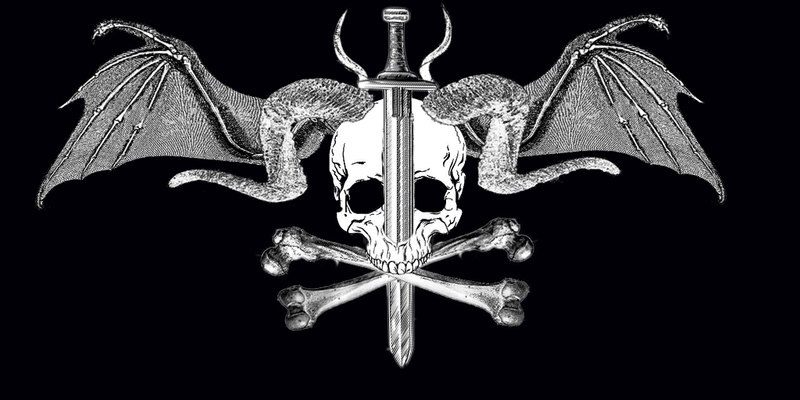 – the modus operandi, their way of working – of the formerly Grand Old Party, which claims “states’ rights” as the banner for their justification, when instead, it should be the Jolly Roger. However, most rational people would maintain that if a problem exists, it should be analyzed and corrected, instead of destroying the institution where a problem may be found. Don’t burn down the house just because the roof has a leak. Either patch the leak, or install a new, and better roof. My reply to him follows. “The so-called “flat tax,” which would be a no-deductions type of single percentage levies “across the board” upon everyone, bar none, is a disproportionate burden to those who make less. 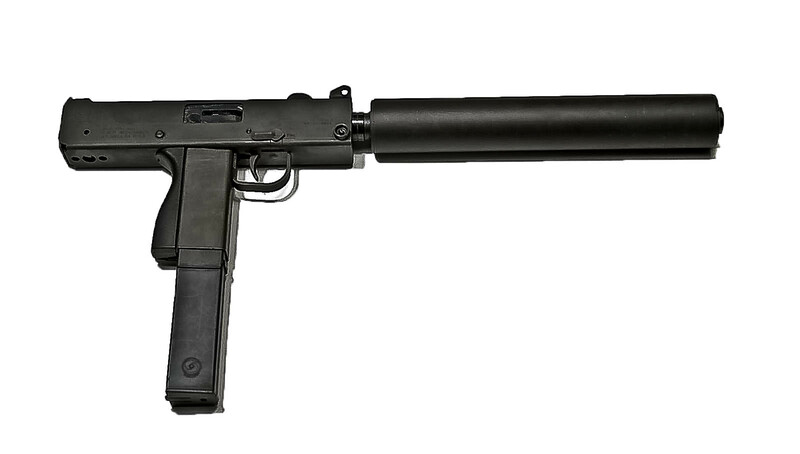 The Ingram MAC-11 (Military Armament Corporation Model 11), a defunct American small arms manufacturer, made this subcompact machine pistol developed during the 1970s. Shown here with 32-round capacity magazine, and suppressor. One only need type in ‘mass shootings’ in any search engine to find literally thousands upon thousands of news items, complete with details about this uniquely American problem. There is, however, significant and legitimate debate about how to ameliorate and stem the growing problem. Some say no laws are needed, that LEOs (Law Enforcement Officers) need to enforce current laws. Others say outlaw guns completely. Somewhere, there is a “happy middle ground” of compromise to be found that protects our law-abiding citizens’ 2d Amendment Rights, and protects the innocent from miscreant would-be murderers and assailants. gun / mass shooting problem. “What if the big sins, you know the ones you try hardest to avoid, aren’t the greatest threat to your joy and the church’s mission? His questions are, of course, spot on. David Oyedepo (Nigeria) Net worth: $150 Million. Obviously, their “prosperity gospel” message is working quite well for them. For others, no so much. And that’d probably cover Avarice, Hubris, and Boasting – or, if you prefer, Greed, Extravagance, and Pride. Either that, or chop off their hand, or foot. They’re both human ostomy bags. BIRMINGHAM, Alabama – A mother and son from Cullman have been charged in a scheme to defraud federal health agencies and a nonprofit east Alabama health center of more than $100,000, which they used to buy personal items such as electronic fish finders, truck tires, cell phones and an adult website membership, federal prosecutors announced. Sheila Osborne Parker and James Robert Parker were charged in separate documents today in U.S. District Court in Birmingham, according to a joint press release issued by U.S. Attorney Joyce White Vance, FBI Special Agent in Charge Richard D. Schwein Jr., IRS Criminal Investigation Special Agent in Charge Veronica Hyman-Pillot, and U.S. Department of Health and Human Services, and Office of Inspector General, Atlanta Regional Office Special Agent in Charge Derrick Jackson. AL.com and The Birmingham News recently reported that a federal grand jury has been investigating the financial dealings of the federally-funded Birmingham Health Care center, which at one time a pioneer in the care of the homeless in Birmingham, sources tell AL.com. Sheila Parker, 59, faces six counts of wire fraud, two counts of bank fraud and two counts of failing to file federal income tax returns, according to the press release. James Parker, 33, faces five counts of wire fraud and two counts of failing to file income tax returns. The mother and son have both entered plea agreements with the U.S. Attorney’s Office. Sheila Parker worked for Birmingham Health Care, a nonprofit organization in Birmingham intended to provide free or low-cost health care services to the homeless and to people living below poverty level in the metro area, according to the press release. “Audits, liens, garnishments: the Internal Revenue Service (IRS) goes to amazing lengths to ensure you comply with your taxes but what happens when they turn that energy to making sure you also comply with their political agenda? As recent scandals have shown, that’s exactly what they are doing! Our response: its time we abolished the IRS. That’s the message of the modern Republican party. We think you ought to believe the way we do, think the way we do, act the way we do. Yes, the irony is abundant. This OpEd is probably some of the best, and most genuinely warranted criticism of President Obama which I’ve yet read. *Roosevelt’s sharp criticism of President Wilson‘s leadership during World War I led the Post Office to warn that the Star that such views might cost the paper its second-class mailing privileges. My guest today is Legal Schnauzer, Roger Shuler. Welcome back to OpEdNews, Roger. JB: Your recent piece The President Paints Himself Into An Ethical Corner By Voicing Outrage Over Evolving Scandal At The IRS is pretty scathing. What’s got you so upset? RS: In early January 2009, just a few days before he took office, President-Elect Obama said he intended to “look forward, as opposed to looking backwards” on apparent crimes under the Bush administration. As president, Obama seems to have followed through on that pledge because his Justice Department has failed to review political prosecutions such as the one involving former Governor Don Siegelman in Alabama, where I live. Political prosecutions, of course, were just of one of many improper acts on the justice front during the Bush years–torture, warrantless wiretapping, firings of U.S. attorneys were among the others. In essence, Obama issued a decree that no one would be held accountable for those acts. But his inaction toward the DOJ shows that he will tolerate the targeting of political opponents, that he will not hold individuals accountable for such actions, and he will not take steps to fix the problem. Obama was uttering empty words at his press conference about the IRS. Many of us expect that from a Republican chief executive; we should demand better from a Democrat. JB: For readers unfamiliar with the Siegelman case, Roger, can you give us a brief overview of what happened and why anyone outside of Alabama should care? It didn’t happen under Obama’s watch so how can he be blamed? RS: Don Siegelman was a Democratic governor in a deep-red state, a state where Karl Rove has a strong power base. Siegelman accepted a campaign donation from a businessman named Richard Scrushy, and then appointed Scrushy to a health-care regulatory board–a board on which Scrushy had served under three previous governors. 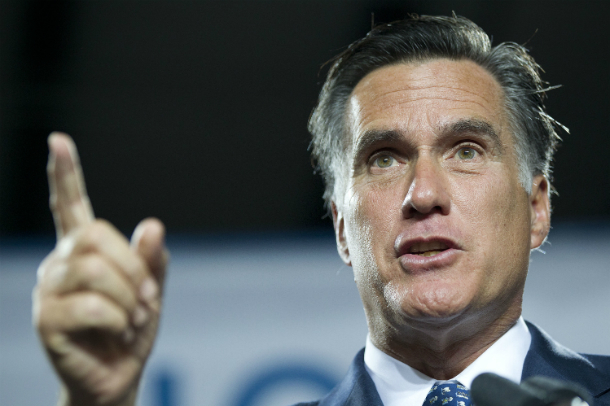 Do We Now Know Enough About Mitt Romney’s Taxes? It’s hard enough to figure out my own taxes every year without having to worry about Mitt Romney’s. But because the issue of Romney’s taxes has come to loom so large, I thought I’d better get some professional advice. So I sought out a friend, estate planning lawyer Matthew Berlin, who has modest clients like me as well as the high and well-heeled, some of them with assets abroad. I asked him if we now knew all we need to know, at least with respect to the tax returns Mitt Romney has disclosed publicly. American tax code promotes outsourcing. Mitt Romney’s jobs plan would exploit that weakness. The Center for American Progress is a public policy think-tank which was created by John Podesta in 2003 as an alternative to right-wing extremist think tanks such as the Heritage Foundation and the American Enterprise Institute. You can skip the article to the conclusion, but then, if you did, you’d miss out on the rationale… which is the significant point. Yes, there are changes to American tax policy which need to be re-examined, particularly and especially those which do not offer competitive, fair or just incentives for a win-win-win for American enterprise, the American worker, and the American economy as a whole. However, the rules that have skewed the advantage to Big Business to the exclusion of the benefit of all of America and her citizens should be re-examined and modified or eliminated as necessary. Time and time again, history has shown that when our nation has had high personal income tax rates, our nation has prospered significantly. That’s but one proof positive that should no longer be a “sacred cow” for any political party. Further, the “starve the monster” philosophy which has, in large part, guided the modern Republican party, even spawning the modern radical TEA Party element, is a significant departure from reality. The reason why is simple: 100 years ago, we didn’t have space travel, the Internet, computers, cell phones, the Interstate highway system and so many, many, many more things that we have now. It’s ludicrous – bordering on the insane – to imagine that as these new inventions and innovations have proliferated (themselves signs of American ingenuity & enterprise), that there would be fewer rules and regulations associated with them. The concept is really quite simple. For example, when families have more children, there are more rules to govern their actions & behaviors. It’s analogous also to saying that, as an adult, one would wear smaller clothing as an adult, then as they did when in their infancy. It’s so preposterously ludicrous as to be insane – a genuine divorce from reality. The Washington Post recently reported that some of the companies Mitt Romney’s firm Bain Capital invested in were “pioneers in the practice of shipping work from the United States to overseas call centers and factories.” Even more troubling than his business record is his platform as Republican presidential candidate, which includes a policy that would encourage and further accelerate the outsourcing of American jobs to foreign countries. The former Massachusetts governor would make U.S. corporations’ overseas profits exempt from U.S. taxes. These profits are already treated favorably under the tax code compared to corporate profits that are earned and reported domestically, creating an inefficient bias toward investment offshore. The favorable treatment of profits that are reported offshore also creates rewards for corporations that shift profits (on paper) out of the United States to foreign countries, including tax havens such as Bermuda and the Cayman Islands. Congratulations, Mark Zuckerberg! And welcome to the 1% of the 1% class! Is it clear enough that Wall Street denizens like neither FaceBook or Mr. Zuckerberg? They bitched, moaned, groaned, griped, carped and complained about his attire. To be certain, this is not a reflection upon Mr. Zuckerberg’s character, but rather a form of criticism of his company’s business model. More specifically, it is the demonstrated lack of a concrete, long-term profit-making revenue stream which has many analysts concerned about the firm’s long-term viability. By the way, based on 2009 tax year filing data, the Internal Revenue Service says an Adjusted Gross Income (AGI) of $343,927 or more, will put you in the top 1 percent of taxpayers. May 22, 2012, 5:35 p.m.
Mark Zuckerberg on Tuesday completed the transaction of the 30.2 million shares he sold in Facebook’s IPO Friday. Taxed Enough Already? Not hardly, says new report. The Tax Policy Center (TPC), a non-partisan policy analysis and collaborative effort of the Brookings Institution and Urban Institute, both Washington, D.C. think-tanks, recently reported that 47% of all Americans will not pay income tax for the 2009 tax year. President Obama’s “Making Work Pay” tax credits, and his American Recovery and Reinvestment Tax Act of 2009 (Public Law 111-5) have further reduced income tax burdens on Americans. Because of his initiatives, more than half of all elderly households, families with children, and other Americans will pay no income tax this year. More than 75% of married couples and single heads of households with income between $30,000 – 40,000 will pay no income tax. And more than 90% of all households with children will have no tax liability this year. NOTE: I share the following with explicit permission. A dear, elderly and retired friend of mine will, in coming days, be scheduled for surgery. Most likely, the procedure(s) will be performed at Huntsville Hospital.